I’ve been using Android Wear on a daily basis over the last month, and in some respects it’s great. I love receiving notifications directly on my wrist, and being able to Google basic pieces of information via voice controls. And the smartwatch I’ve been using to test Android Wear – the Motorola Moto 360 – is stylish and decent enough on the hardware front. But the one thing that struck me about Google’s smartwatch platform, which has received one major update since its launch more than six months ago, is that it can’t really do very much. It can display the time, show notifications, and you can use Google Now voice controls and run a few apps, but that’s about it. 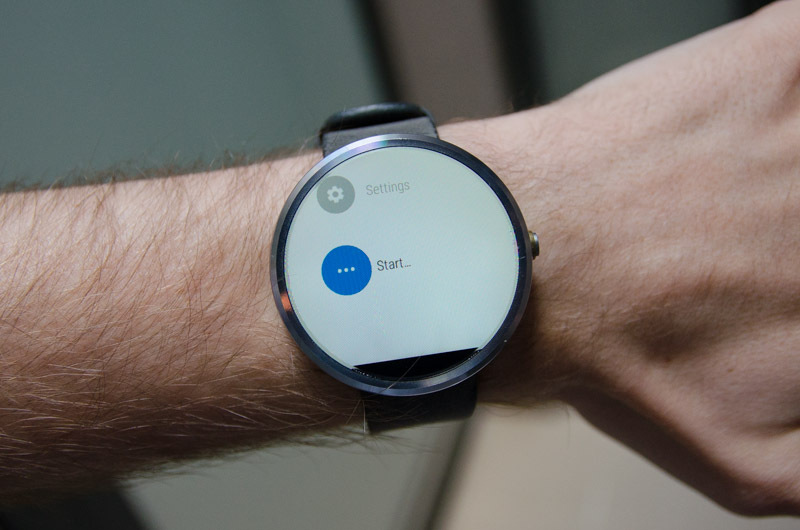 Seeing as though the platform is in its infancy, and there’s a lot of potential for Android Wear to be awesome, I thought I’d give Google some ideas for new features. Here’s ten features that should be included in the next generation of Android Wear, most of which don’t even require hardware updates. Replying to notifications and messages on your Android Wear devices requires you to speak to your watch, and that can make you look like an 80s spymaster, so it’s not always practical. However, when I want to reply to a message immediately after I read it on my wrist without using my smartphone, I want that little reply button to be present. Unfortunately, that’s not always the case. 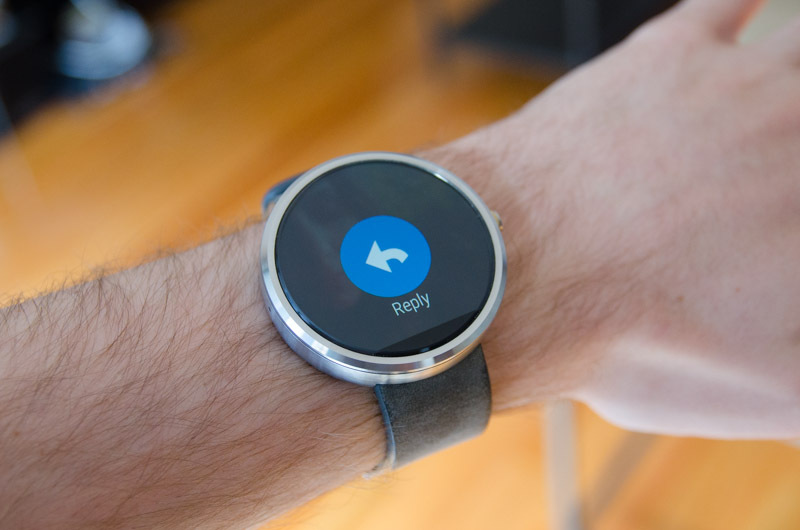 This is why Android Wear needs universal reply. If I can reply to a message on my smartphone using the keyboard, I should also be able to reply to said message using voice on my smartwatch. Some apps can do this, including Gmail and Facebook Messenger, but others – including the stock SMS application on many smartphones – can’t. Introducing a clever universal reply API would allow me to quickly respond to any message, regardless of the app. If you’ve ever Googled a major sporting event you’ve probably noticed that Google will provide you with a snapshot of results, even if the match is currently in progress. 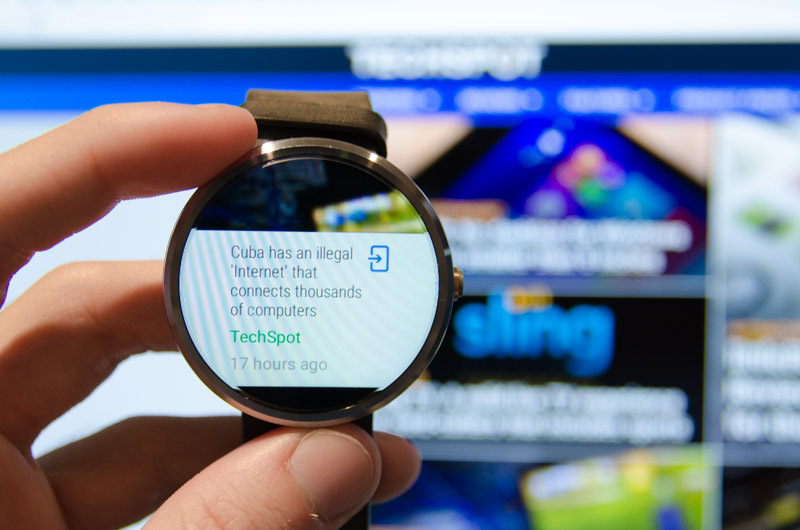 On Android Wear, though, searching for the same event will leave you with basic website links. Instead, I’d like to see sports scores from Google straight on my wrist, without needing to download a third party (and often clunky) application. Even better, I’d like to see sporting events that I’ve searched for persist on my wrist as a card, with notifications for major scoring events. Not at home or near a TV to watch your team contest a football match? Having your wrist vibrate for every goal would be an awesome experience, complementing a score card for when you glance at your smartwatch. All of this could be activated by simply asking Google Now to “keep me informed about Australia v England”, for example. This is a pretty simple one. Google Search on Android smartphones will allow you to identify songs via audio input and voice search. 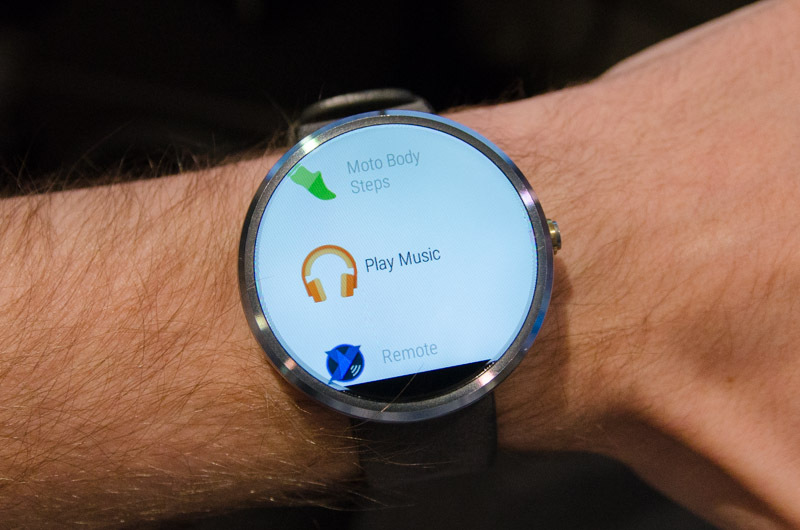 On Android Wear, which also has voice search and audio input, you can’t. Extending the Android Wear feature set to allow song identification without pulling out your smartphone would be a very handy addition for those times you just can’t remember where you heard that track before. 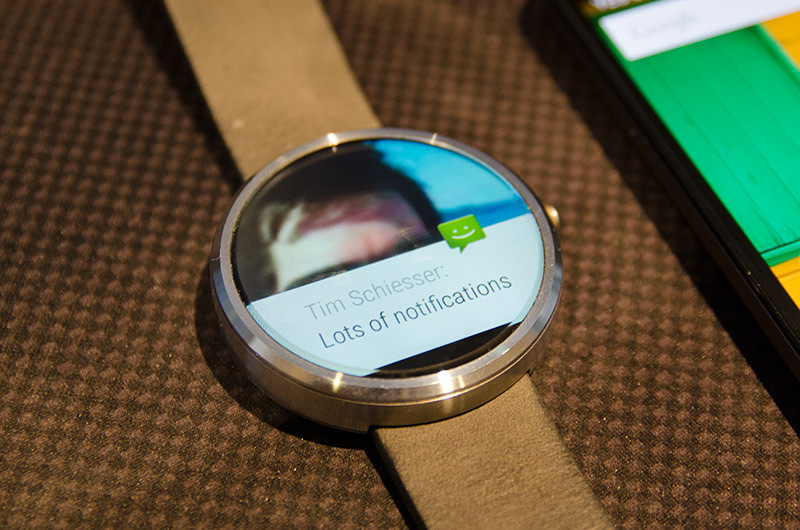 This is another fairly straightforward addition to Android Wear. Currently, you can get turn-by-turn navigation on your smartwatch with the assistance of your smartphone, but it only shows basic information such as the upcoming turn on your wrist. I’d like to see this functionality expanded so that I can see a small map on my wrist, showing me my surrounds and allowing me to navigate more easily without reaching for my phone. This could be especially handy for navigation while walking, where a better view of your surroundings can definitely be useful. Showing nearby locations could also give you a better idea of what places are available to eat at, for example, as you walk around a shopping village. One thing Android Wear isn’t particularly great at is giving you easy access to smartwatch controls such as brightness, sunlight mode, Bluetooth devices, airplane mode, and power off. Adjusting each of these settings requires multiple swipes and taps, which is far from an excellent user experience on a small display. 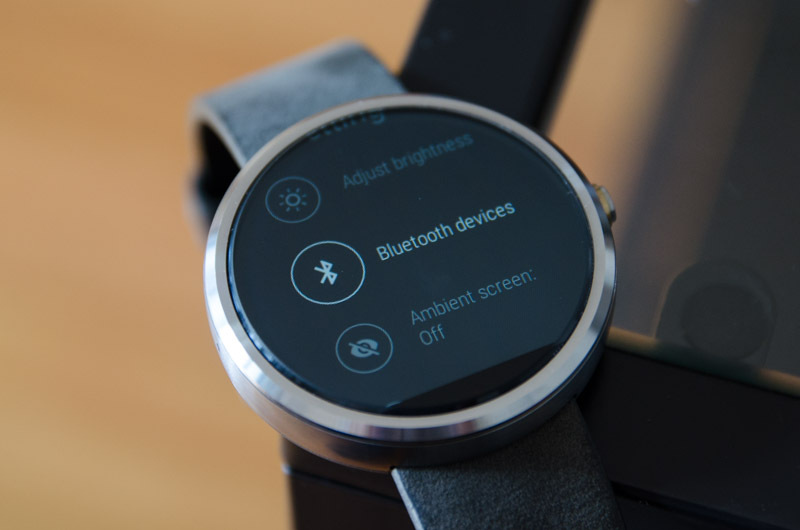 Having a small, slide out tray filled with settings would be a great way to approach quick controls on Android Wear. Throw in some icons for most frequently adjusted settings, and maybe some smartphone setting controls as well, and you’ve improved the menu system on Android Wear drastically. For those of you out there that run the XBMC/Kodi media center app on a HTPC, you can already control the interface on your Android Wear smartwatch through an excellent remote app called Yatse. It’s a pretty decent experience being able to play and pause videos, browse through my content library and see how long a show has to run all on my wrist. It’s especially great when my usual remote, my smartphone, isn’t in arm’s reach. 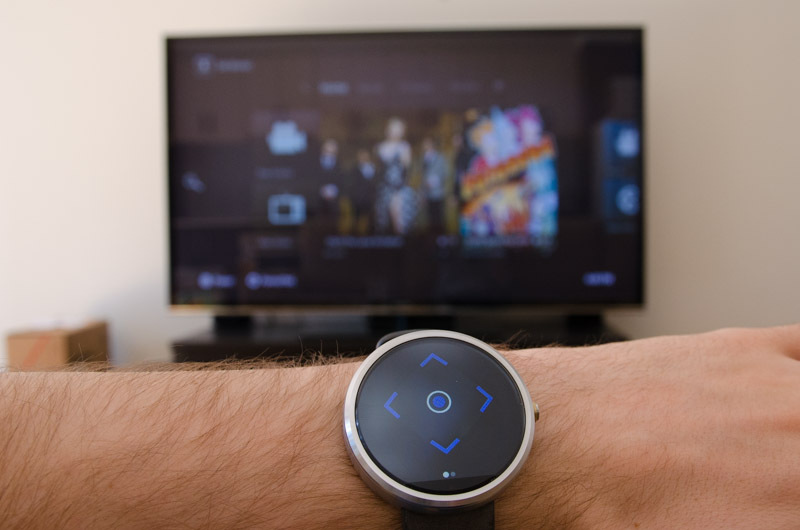 Wouldn’t it be awesome if you could also control your TV through your Android Wear smartphone? Nothing incredibly complex, but I’d like to see the ability to change my TV’s volume, switch inputs and maybe select TV channels without needing to reach for a remote. After all, my smartwatch is always on my wrist, and it’d save hunting for something that is easily lost. 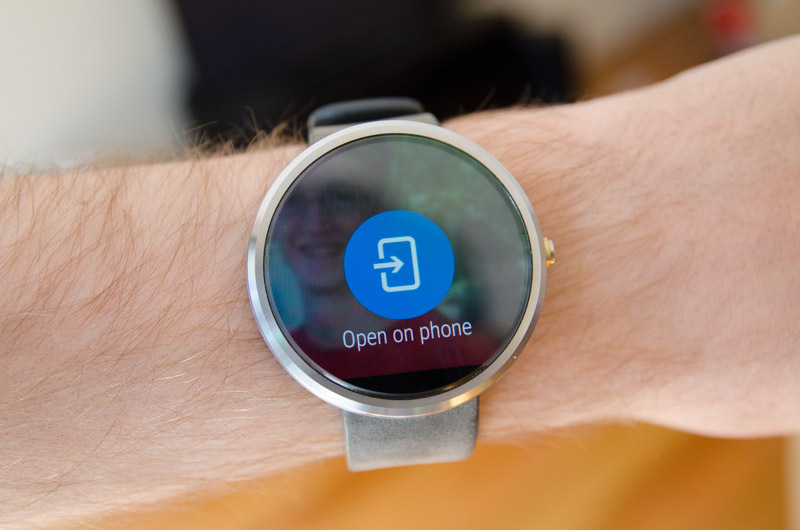 That said, this is the only feature on this list that would actually require new Android Wear hardware. Specifically, you’d need an IR blaster integrated into the body of the smartwatch, and I’m not sure how effective that would be. 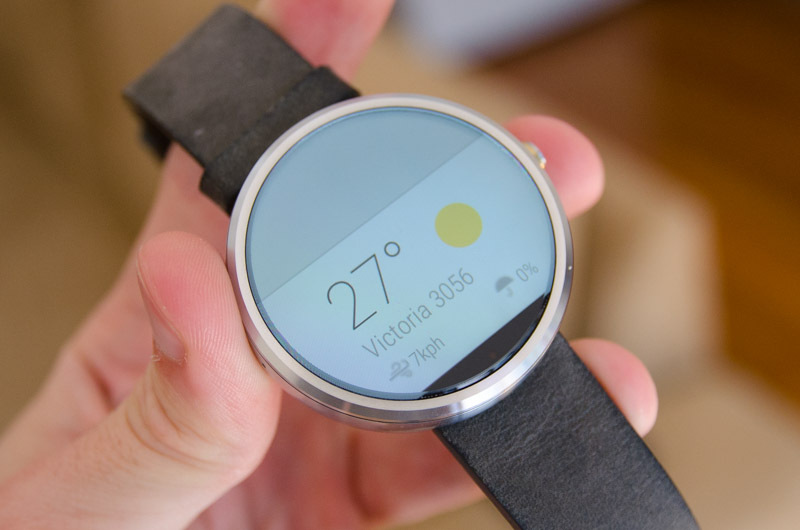 Hopefully Google, or maybe a smartwatch OEM, is testing a feature like this for a future product. If you’re familiar with Android Wear, you’ll know that the app launcher is hidden away at the bottom of a list of actions. Yes, you can launch apps via voice commands, but this isn’t always a practical way to do it, especially if you’re in a noisy or public environment. Luckily the fix is simple: provide an easy-to-access app launcher alongside the list of popular commands, allowing people to quickly launch apps or perform commands without needing to use your voice. Because sometimes you don’t want to look like you’re a CIA officer secretly calling for backup. Ever lost your phone inside your house and had to get someone else to call it so you can find it? 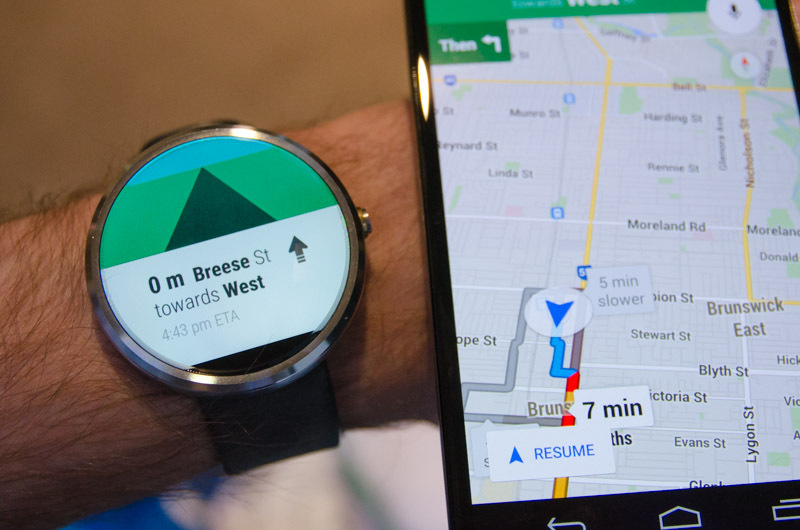 This could be solved with a minor update to Android Wear: find my phone. Through reporting Bluetooth signal strength between the watch and phone in a simple interface, it be able to assist users in honing in on their phone’s location. Nothing complex, but a handy tool that could be integrated into the settings menu. This isn’t so much of a new feature per se, rather an improvement to the existing notification model. Notification delivery and snippets are generally excellent when you receive just one notification from an application, but things get harder to handle with multiples. Most notably, Android Wear tends to cut off the notification’s preview text well before it should, making it hard to grasp the actual content of the message. Other times it won’t show you a snippet at all. It’d be great if Wear notifications were improved so that you could view each notification in a group of multiples with ease. This could be achieved by tapping on each line, tapping on ‘more’, or simply scrolling. I’d also like to see higher resolution images for contacts, app icons and more, because currently it looks a bit blurry. Google Now already does a decent job of providing contextually-relevant information, such as flight notices for your impending journey, or tourist attractions for when you arrive. With a smartwatch on your wrist, however, Google Now could be expanded to provide more location aware info that would assist with day to day life. For example, Google Now could show you a train timetable on your wrist when you enter a train station. You might not have looked at your smartphone while in the station, but a quick glance at your wrist could give you all the information you need. Walking down a shopping strip? Google Now could put nearby eateries right on your wrist. 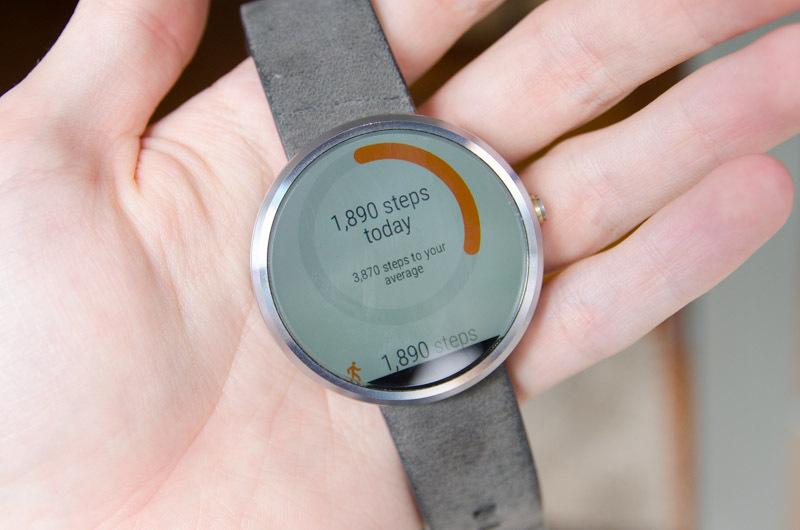 Head into a gym and Google Now could suggest a workout through Google Fit. You get the picture. Enhancing Google Now to provide then-and-there location based information would be incredibly handy, and extend on the feature set of a smartwatch in a meaningful way.